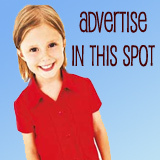 Today, NorthEscambia.com continues a series of stories with award listings from area schools. Today’s listing contains the names of all Ernest Ward Middle School students that received awards in ceremonies at the end of the year. Way to go Alexandria Martin! To Aaron & Matthew, congratulations on finishing a great school year on a high note. Abit of a rough start, but you made it. I am SO proud of you both. A special Thank you for Mr Jefcoat and Mr Forsman for unwittingly taking them under your wings. These boys have really started to come out of themselves after years of stress they have had to endure in their young lives. Mrs. Perry and Mr Demus Thank you as well for your strength and love you show your students. Not only by boys, but may all the students shine and make you all proud this coming school year!! GOD Bless you all. Way to go Ashley & Austin Cunningham. We are so proud of you both!!! Congrats to JAZZLYN, LA’DERIOUS(BIG D), TAMARA, DESIREE,CHARMAINE, and also to the rest of the EWMS students!!!! I’m proud of you Kade and Taylor. Congrats to all the students that received awards….a special congrats to La’Derious Franklin and Jazzlyn Franklin!! CONGRATULATIONS KADE!! MAMA AND DADDY ARE SO PROUD! Congrats to the entire EWMS student body, teachers, and parents for a job well done this year! over 200 students with awards! WAY TO GO!!!!! Way to go Jeremy Stacey! I’m so proud of you. WAY TO GO TYLER!!!!!!! WE ARE VERY PROUD OF YOU. Congratulations Kaitlyn! Mommy and Gabrielle are so proud of you!!! WAY TO GO WILL OWENS!! Yea !!! Megan Bryan, Bigdaddy and Bigmama are very proud of you.